The report suggests that many of the effects already seen are probably irreversible. The report came as the government imposed carbon taxes on four of Canada’s 10 provinces for failing to introduce their own plans for tackling climate change. 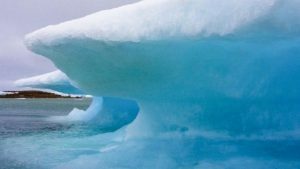 University of Toronto professor Matthew Hoffmann told the BBC that, like the recent Intergovernmental Panel on Climate Change report, this one underscores the warnings about the impact of climate change. “This is yet another reaffirmation of the urgency of this problem,” he said. Civil society appeared to be at a “tipping point” on the issue with public opinion moving in support of governments taking action. Mr, Hoffmann points to recent student protests in the UK, Canada and elsewhere pushing for governments to take active steps to tackle the problem. 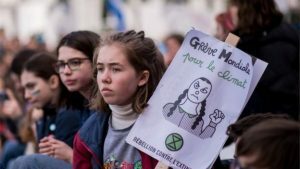 “People are starting to feel climate change – it’s starting to be part of their lived experience,” he said. What else is the government doing? Prime Minister Justin Trudeau warned the country’s provinces two years ago that they needed to come up with plans by 1 April setting out how they would contribute to Canada’s reduction targets. The four that the government accuses of failing to do so are Ontario, Manitoba, Saskatchewan and New Brunswick. The carbon tax will be added to the cost of fuel – 4.4 Canadian cents (3.6 US cents) per litre initially – equivalent to 20 Canadian dollars per tonne of carbon produced, more than doubling by 2022. However, households are expected to be compensated by the federal government in the form of “climate action incentive” rebates. The opposition Conservatives have vowed to scrap the tax should they win federal elections in October.